Put cashew nuts in a bowl and cover it with hot water, let hydrate for 2 hours. Drain the nuts after 2 hours and put them in a blender or a kitchen robot. Add whey powder and stevia sweetener, mix everything until you get a paste composition. 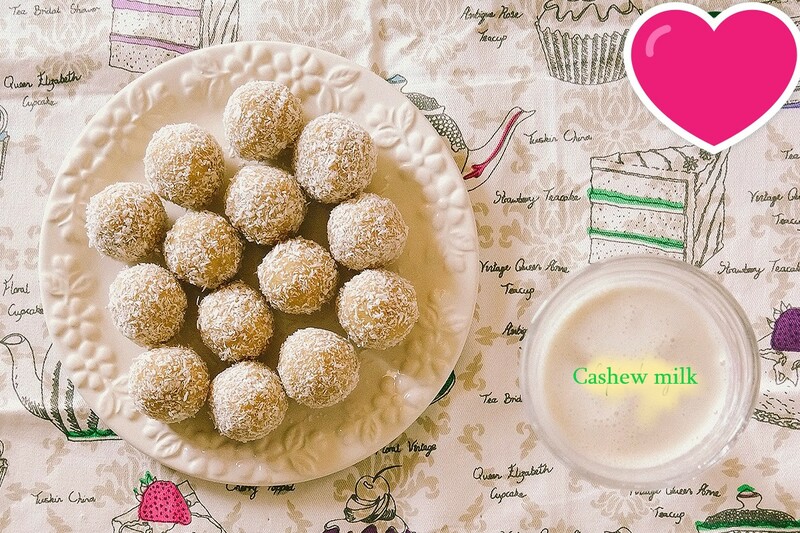 Form 15 equal balls, each balls should weigh between 20-21 g.
Mix coconut flour with ground vanilla. Cover each candy with this mix and remove excess.